With heavy hearts, we share that Marlyn Aycock of Alexandria, VA passed away suddenly at home on October 11, 2018. Predeceased by his son Timothy Aycock. Survived by his wife, Midge, his son (and spouse) Jonathan Aycock (Corinne). He was very proud of his three grandchildren and reveled in their lives: Olivia, Hannah, and Zachary. Marlyn’s sharp wit, intellect, love of history, and outspoken nature always made for fun and lively conversations. His kindheartedness for others, especially those in need was noticed, as was his intensity to fight injustice. He will be dearly missed. Marlyn was born in Warrenton, NC to Thomas Haywood Aycock and Mable Strickland Aycock. He served in the Army Air Corps from 1946-1949, and then served in the Army in Japan during the Korean War. He graduated from Texas Christian University majoring in Journalism in 1955 and earned his Master’s Degree from University of Minnesota in 1956. After graduation, he worked as a Reporter for the Richmond Times Dispatch, married Midge Bloom in 1957, and lived in Richmond until 1960. They traveled to Europe where he worked for United Press International (UPI) in London and Frankfurt, Germany. Marlyn experienced the Berlin wall while being a News Editor in Germany. 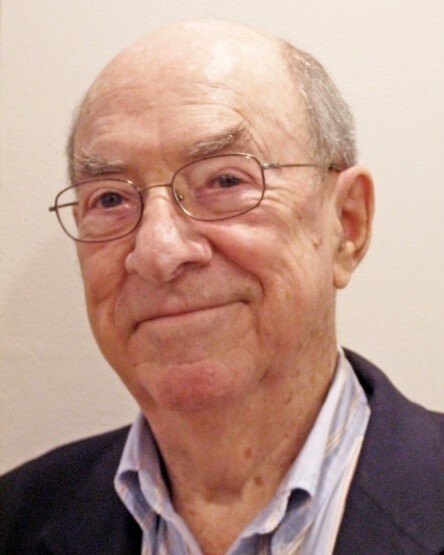 He joined the staff of the Louisville Courier Journal in 1962 and covered the Civil Rights Movement in Alabama. He rejoined UPI in Washington, DC in 1964 and moved to Alexandria. Marlyn worked for members of the House and Senate as a press officer and for the Congressional Quarterly before joining the Farmers Home Administration at the USDA. Marlyn retired from the Federal Government in 1997. He was soon hired as a historic interpreter at the Mount Vernon Estate and really enjoyed his time as a miller at George Washington’s Gristmill. Wake to be held on Friday, October 26, from 1-3 p.m., and 5-7 p.m. at the Everly Wheatley Funeral Home, 1500 W. Braddock Rd., Alexandria, VA 22302. Funeral services and a celebration of his life will be held on Saturday, October 27, at 1:00 p.m. at Good Shepherd Lutheran Church, 100 W. Luray Ave., Alexandria, VA, 22301. In lieu of flowers, memorial contributions may be made to the Timothy Aycock Melanoma Research Foundation (TAMRF), P.O. Box 1741, Leesburg, VA 20177. Please see link below.